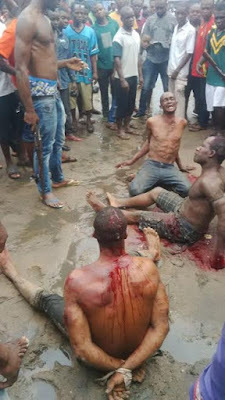 Three alleged thieves who specialized in stealing telecommunication mast batteries were nabbed today at Emenike street off Ngwa Road in Aba, Abia State and brutally beaten by angry mob. 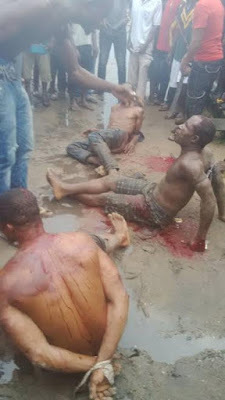 The suspects were caught with 15 lister batteries which are the change over batteries that power the MTN mast. 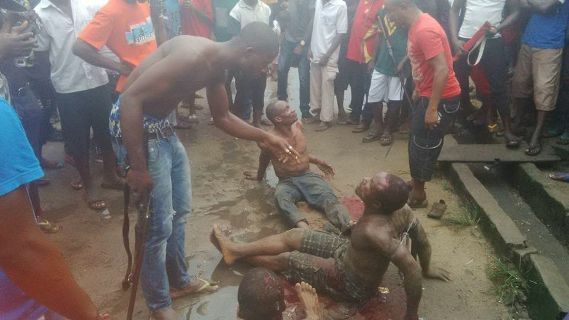 One of them have been identified as Bakassi. 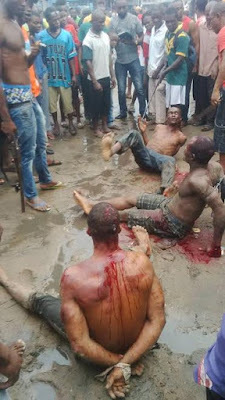 Police arrived the scene after the mob had administered street justice and took them to Cameroon road Police barracks.